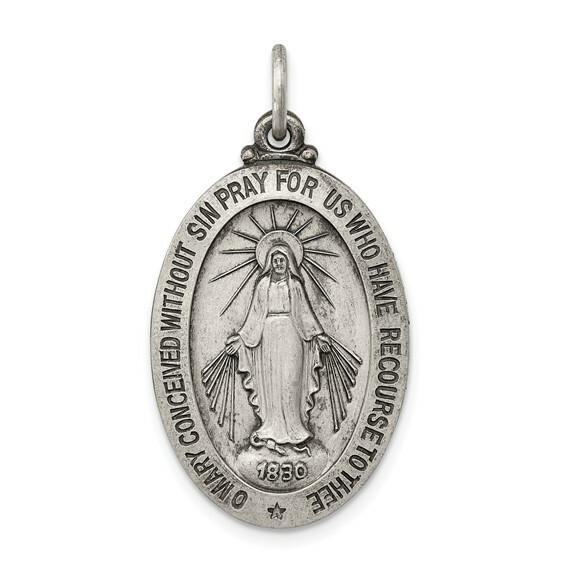 Die struck, oval miraculous medal is made of antiqued sterling silver. Measures 1 inch tall by 11/16 inch wide without bail. Made in the USA. Chain not included. 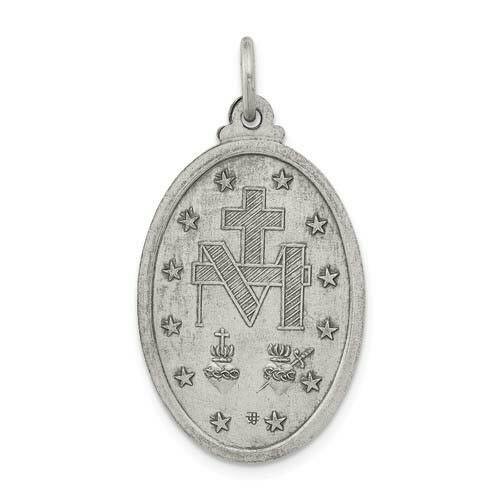 Back of medal is blank.